I’m new to Rayfire and just getting to grips with it. I’m having a few problems with what are (I hope) fairly simple problems. I want to collapse a building that is made from metal beams and concrete (the concrete will break but the metal wont). I can’t seem to apply 2 different materials to the Dynamic objects. Is there a way to do this? so you want the metal to stay where it is and the concrete to crumble? Or do you want it to bend with it? in that case rayfire might not be the tool for the bending, use cloth or so. I’m totally new to Max (have been “a Maya guy” for 10+ years), and am playing with RayFire (demo currently) and evaluating purchasing the package. I got PhysX installed [PhysX Plug-in Version 2.86.00811.20500, PhysX SDK Version 3.2.0] and am playing with both the native cloth solvers and yours. I noticed that the PhsyX tool bar settings have options for “hardware acceleration” and “multithreading” as check boxes. Is your plug-in supposed to be grabbing those settings from PhysX? Or, is that something you enable in the paid version? A big draw for me to your system is the potential to leverage the horsepower I have in my GPUs, and it doesn’t seem to be happening at the moment. Appreciate you guidance on this one. It works but I’m not able to obtain a wall of sigle bricks, I Always have multiple bicks along the length axis. I have also a question, in the fragment rollout at the length:Y property there are 2 numbers what they are ? what is the frist and the second ? I fragmented a box using Rayfire (I drew the fragments). For some points, I wanted to have extra detail, I tried cutting areas out of the Rayfired geo using ProCutter compund objects (basically cylinders). In most cases, those ProCutter cylinders killed the underlying geometry, the geo I wanted to cut into was deleted. Sometimes, the edges remained as if there was some wrong boolean calculation going on. Does anybody have an idea how to avoid that? Draw fragmentation is a little sensitive if you dont really know what is going on, and even then it’s a little hard to get stuff to work sometimes… but some things to try out is to draw lines that cross the entire object, if it starts or ends in the object it tends to fail, so just start well outside of your object and it should be fine. Another thing to keep in mind is crossing lines, in my experience it doesn’t like when you cross lines in one sweep, so dont draw loops and stuff, but try to draw that as multiple cuts if you need to. This should also be considered when using the noise function for the lines, if the noise gets too high (and creates internal line crossings) it tends to fail. I’m not 100% about this, but these are my observations. I fragment geometry using Rayfire, Voronoi - Irregular. Any scene containing this fractured geometry can be saved, but crashes max instantly when trying to load the scene. Is there a known bug with that setup? Anything else that might help? Face threshold: Defines fragments minimum face number. If a fragment has a lower face number than the Face threshold value it will be deleted. Hi, I have a question…is it possible to just crack an object in rayfire? I’m new to the program, these are my settings: a large ground plane is set to unyielding object, material is steel. An upright square, set as an inactive object, material is concrete. an identical square behind that square set to unyielding with material set to steel. And the last object is a sphere set to the impact object, with material steel. the sphere bounces off of the square and just completley destroys it…I only need a crack…I have v1.44 by the way. thanks in advance and a happy new year! Hi to all, its my first post here. I’d make an explosion of an object but I want make it in bullett time. that I need PhysX helper to make it but… I can’t find it. Can’t find it because its a demo or do I need some external plugin for my video card? I’m trying using a nvidia gt330. Thx and sorry for my english. Do you plan to implement the bullet feature in future releases? I remember in the beginning you had the option using afterburn at impact and all that cool stuff. wdr: check out Online help, you cna open it via About menu. 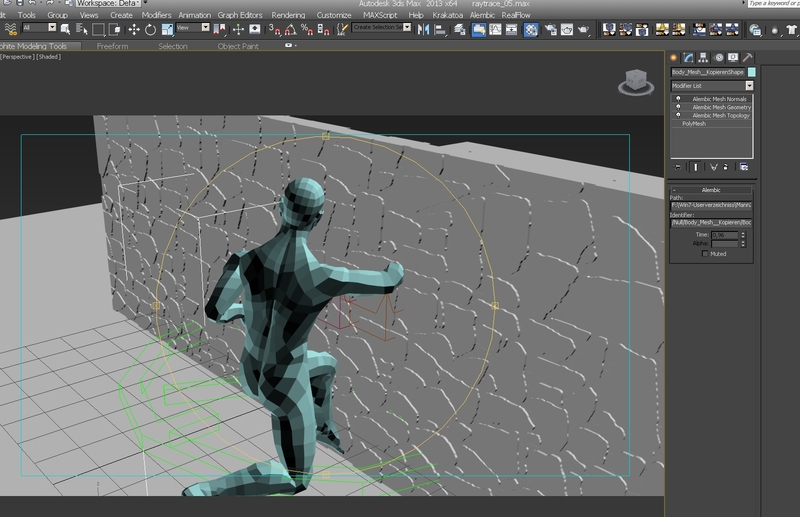 RayFire 1.61 plugin for 3ds Max 2009 - 2013 released. Hi mirvadim, which is the best release of physx for this version of rayfire ? 2.86 ? 2.87 ? I recently updated my RayFire to ver. 1.60.05 for 3ds max 2012, x64. found a bug (for me) whenever I create the RayFire Helper , the RF Bomb, it will appear in the viewport, then 3 or 4 seconds after i create it, it will crash my max without a message. Thank You Vadim Mir !